AVA Festival and Conference Belfast will return in 2019 on Friday, May 31st and Saturday, June 1st. The fifth edition of the event in Northern Ireland will follow a return to London for a conference and club show at the Printworks on Saturday, March 15th. AVA’s return to Belfast will be split into a free daytime conference at The MAC on Friday, then a party at the ex-B&Q warehouse S13 on Friday and Saturday. The line-up, stages and partners will be revealed soon. Weekend tickets start from £55 from avafestival.com. The Printworks London edition of AVA will see a day of free talks, panels and workshops from industry giants, including a keynote from Bicep. 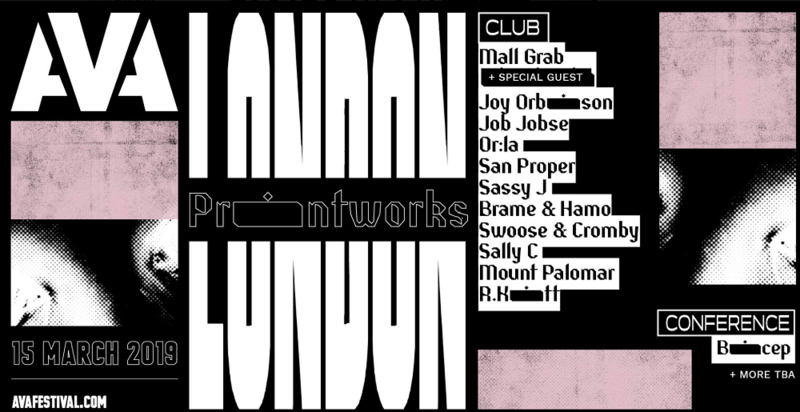 By night music will be spread across two rooms featuring Mall Grab, Joy Orbison, Job Jobse, Or:la, San Proper, Sassy J, Brame + Hamo, Sally C, Swoose + Cromby, Mount Palomar and R.Kitt. For AVA London tickets and details go to avafestival.com/ticket/london.